It’s wonderful to work with companies to help them grow, so we were delighted to be invited to celebrate the latest phase in the development of our client, CapitalSpace, who provide accommodation for small- and medium-sized businesses. 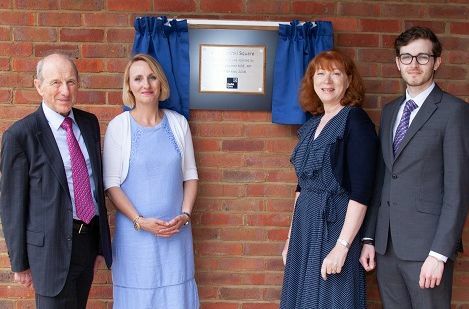 The official opening of their new £3.6 million building is testimony to the fact that their easy-in, easy-out contracts are proving a winning formula with entrepreneurs and company owners in the South East. There is a severe shortage of affordable office space in the South East; the demand for new homes makes it more attractive to redevelop commercial space for residential use. CapitalSpace stands out as one of the few companies investing in supporting new and growing businesses with affordable, flexible accommodation that enables them to scale up and down easily. Their nine business centres across the South East are enjoying record occupancy levels, prompting the investment in a new building at the Churchill Square site in Kings Hill to provide accommodation for an extra 30 companies. The dignitaries were joined by many CapitalSpace customers and partners to celebrate the opening of ‘Building 80’. Such an investment rightly deserves wider acknowledgment, so we were delighted to secure media coverage of the official opening both before and after the event for CapitalSpace. We were also thrilled to share a glass of bubbly to mark the culmination of their investment and hard work in opening Building 80 on time and on budget. We’ve worked with CapitalSpace for three years providing blogs, social media and PR campaigns. Over that time, occupancy rates have risen to record levels, with the company expanding from eight to nine business centres. We look forward to more of their success stories.